Artificial Intelligence is certainly not new, but it’s gaining greater prominence in the methods that we use to conduct business. In a recent PwC study, 72% of corporate leaders consider AI to be an aid to their enterprises. In what areas do they use it? Mostly to help with boring but essential tasks like preparing time sheets, scheduling, and paper work in general. Though relying on AI may seem to go against the trend toward personalization, it actually doesn’t. Using AI for menial tasks frees up time to devote to personalization in the areas that count with customers: delivery of what they want from your products or services. Social media isn’t a Johnny-Come-Lately either, but its influence is light-years ahead of what it was only a few years ago, and this influence is worldwide. One estimate by Statista suggests that by 2020, nearly one-third of the world’s population – 2.9 billion people – will be social media users. And why not? It’s the modern way people communicate with each other around the globe. There are a myriad of ways to use social media to attract customers, e.g., a toy manufacturer could ask what to name a new doll or a brewery a new beer. Maybe people would like to weigh in on features they’d like to see on warm jackets: is it buttons or a zipper? How about a hood? The possibilities are endless regardless of what you sell or the services you offer. Blockchain has become a hot topic around the world in 2018. It’s probably best known as the technology that gave us Bitcoin, which enabled online payments to be transferred directly without the use of an intermediary, such as a bank. Today a blockchain has many other uses. Think of it as a type of distributed ledger that constantly updates its own digital records. Once a transaction has been validated, it is then time-stamped and added to the blockchain in linear, chronological order. New blocks are linked to older ones, hence the name “blockchain.” Each blockchain automatically updates, so every ledger in the network, i.e., your company, always has a real-time record of transactions. Think of the simplicity, not to mention the time saved. Plus, blockchains are virtually hack-proof because the hackers would have to go through the entire history of the blockchain to pull it off. And they’d have to do it on every individual ledger in the company. Though women have been in the workplace since there was a workplace, until the beginning of the women’s movement, they were often relegated to low-level, poorly paying jobs that were considered “suitable” for females. Today, however, there are precious few jobs from which women are excluded, and barriers to those are falling fast. The “glass ceiling” has many holes in it. Expect this trend to continue. Availability of in-the-workplace child care and options for work-from-home add to the options available for women who desire careers today. Plus, role models abound: around the world, there are women heads of state (we nearly had one in the U.S.), many CEOs and other corporate executives, women who are high-ranking military officers, women in space, women on the Supreme Court, women mayors, women governors of states, and so on. An unprecedented number of women are expected to run for Congress in the next election as well. Women often control the purse strings in a family too. So companies that have products to sell ignore that fact at their peril. One other factor to consider: the #MeToo movement has caused an enormous shift in what constitutes acceptable workplace behavior. This is likely to continue, especially as women become more influential in setting policy. Once upon a time, the CEO was all about business, but no more. Increasingly, CEOs are addressing social issues. 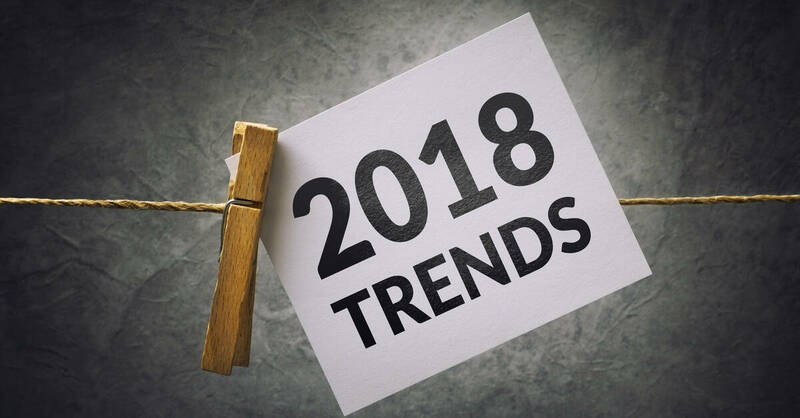 What’s driving the trend? For one thing, millennials are now in the workplace, and they tend to be socially conscious. For another, government seems strangely ineffective in tackling societal problems. Add to that the need to build public trust in business. So one can expect to see more CEOs stepping up to the plate this year. The labor market is tight, so to attract the best talent, CEOs need to show that they’re doing good, not just doing well. Proactive Worldwide has its proverbial finger on the pulse of the trends listed above. So if you have neither the time nor the inclination to deal with their implications, we have experts who can help. It’s what we do.